7 Dear friends, I am not writing you a new command but an old one, which you have had since the beginning. This old command is the message you have heard. 8 Yet I am writing you a new command; its truth is seen in him and in you, because the darkness is passing and the true light is already shining. 9 Anyone who claims to be in the light but hates a brother or sister is still in the darkness. 10 Anyone who loves their brother and sister lives in the light, and there is nothing in them to make them stumble. 11 But anyone who hates a brother or sister is in the darkness and walks around in the darkness. They do not know where they are going, because the darkness has blinded them. I have been praying over these verses all day. What, Father, would you have me to say. Yes, the command John writes for us, it is both old and new. This command to love God and to love our brothers, it has been the desire of God's heart since He spoke and the universe was formed. The command to love God, and to demonstrate that love through our obedience is strewn through the Old Testament. Instructions to care for the widow and orphan, to love one another, to care for our neighbor... we find this throughout scripture as well. It's also new in that Jesus took it to a whole new level- who is your neighbor? Love your enemy! Forgive one another, and seek forgiveness! 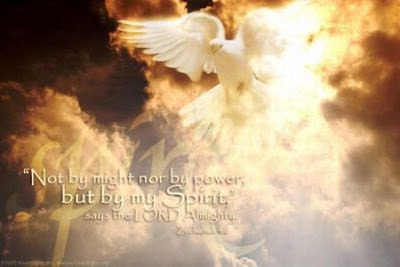 And do all of this with the power of the Holy Spirit He sent to take up residence in our hearts... He doesn't just give us the command, but He equips us to actually do it. Yes, I can't say that I love God and then also hate my brother. That makes sense. Love comes from the Light. The Light is Love. All true, but there is more. There is another layer here. Help me uncover it Father. What would YOU have me to say? To share? To teach? To learn? What is there that I am not seeing? Anyone who claims to live in God’s light and hates a brother or sister is still in the dark. It’s the person who loves brother and sister who dwells in God’s light and doesn’t block the light from others. But whoever hates is still in the dark, stumbles around in the dark, doesn’t know which end is up, blinded by the darkness. (vs 9-11). Do you see it? Do you see it right there in the middle... It's the person who loves brother and sister who dwells in God's light and doesn't block the light from others. I want to be a Lightbearer. Not a Light-blocker. I want to dwell in God's Light. Live right there in it's warmth. Welcome it's uncovering of the darkness in my heart. I want it to shine in me and through me and spill out onto others. And what does that look like? 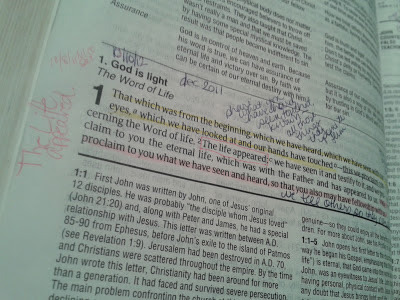 What does dwelling in the Light look like? What does not-blocking-the-Light entail??? and it will be evidenced in your life. it will shine in you and through you and spill out on onto others. Your love for God is evidenced in your love for your brother and sisters. And this love does not block the light from others. But I can't shake the feeling that defining our brothers as just those who think like us... is... so narrow. That if we were to ask Jesus "who is our brother" He would tell us a parable that would set everything we understood on its ear. That we aren't just called to love those who already know Jesus because... frankly, that's not the way Jesus Himself loved. Jesus specifically sought out the homes of the sinners, the tax collectors, the cast offs. He met up with the woman at the well, on purpose... He met her right where she was and He loved her right out of that place. He didn't wait for her to "come clean" before He offered her the Living Water. He loved her first, exposed her sin later, and a whole town was won in the end. I wonder, when we say we want to love like Jesus, look like Jesus, be His hands & feet & heart... I wonder... if it shouldn't look like this? Because I really do believe that the love of Jesus is a radical love, and so the love of Jesus flowing through us should look a little crazy, overwhelming, radical... and a little less like judgement. I say this with caution, because I am not a "judge not lest ye be judged" kind of person... I know that read in context that this verse tells us we need to be a lot more concerned with walking in holiness ourselves so that we can see and help our brother with the speck in his eye (check it out, that's really what it says). More on that in another post, perhaps. They will never be won by a picket sign. Or a picture of an aborted fetus. Or an "us vs. them" mentality. This world will only be won by His love. I may stumble my way back to church out of a fear of Hell... but it's only a discovery of His love that will keep me there. they can only know His love as it pours into us, through us, spilling out of us onto them. Even when they are waist deep in the sinful life. And this love does not block the light from others. I sat on the floor with one crying from the depth of her soul. Her own sin so shocking to her that she could not even speak. The wails and the moans that poured forth ripped through my spirit. And I was overwhelmed with love for her. Not because I am so good, or so perfect, or so holy... but because I asked God to equip me in that moment and that's what He gave me. Love. Why love? Because condemnation, in that moment, would have locked her in a prison of shame and guilt and fear... but love... oh LOVE BRINGS FORTH THE LIGHT. And she needed the Light then more than any other time in her life. She needed love. Isn't that how Jesus loved? But the church... oh we so often act more like the religious leaders who brought the adulterous woman before Jesus, ready to stone her. Picking and choosing the sins to highlight (the man was not brought forth, as the law would have also required). Pointing to her sin as much greater than our own. Carrying our picket sign against it. And this love poured Light into her life. I want my love to do the same thing. I want my witness to be one that builds up rather than condemns. I want my life to be one that doesn't block the light from others. That's why my words on Facebook, and this blog, and I hope in my life reveal so much more about the things that I am for than the things I am against. Because when I speak out against abortion, there very well could be a woman at the table across from me, who has walked through that [some statistics show that as many as one out of three women are post-abortive]. I made that mistake the other day, and in my spirit I just knew that there was one in the room who was staring at her hands because she had been there... and that my words did not encourage, or build her up, or remind her how precious she is to the Father... but brought feelings of shame and guilt and fear. Oh, Father...Did I block your light? One out of three. That is frightening on so many levels... oh those women! Oh how their hearts must ache! How their minds must wonder... "what if..." One out of three. That means an anti-abortion message on my Facebook wall could block the light for as many as three hundred women. I'm not saying you shouldn't post these things on Facebook, or speak them in your life... I am explaining my own conviction, and why I don't [except when I do, like the other day, and then I don't feel great about it]. Because her life is as important to me as the baby that she didn't have. And so I want her to know the forgiveness of Christ. The mighty work He has done in my life. How precious she is to Him... How very precious... How wide and deep and high His love for her is... and I don't know that condemnation will do that for most women. I want to meet her where she is and then love her out of that place. I want to touch her hand and look into her eyes and have an overwhelming love pour through me. I want to talk to my homosexual friend in a way that he knows I love him... from the depths of who I am... and when he asks what the Bible says about his lifestyle I want to answer in a way that brings hope. And truth. And love. I want to meet with the girl in jail and have her know that Jesus loves her. I want to sit on the floor with a sister waking up from her sin and let her know that God isn't done with her yet. That there is now no condemnation for those who are in Christ Jesus. I want them to know His love. I want you to know His love. Sometimes we just aren't sure how to show it. Sometimes it's hard to know how to take a stand for what is right, and still love the one that is wrong. 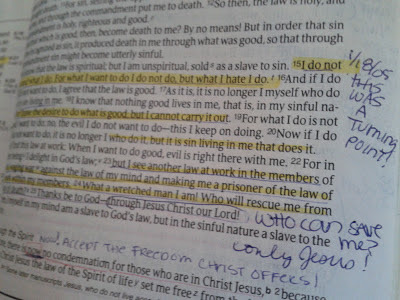 Love the sinner, hate the sin... it's tricky stuff. One of the most shocking revelations of my spiritual walk (we will talk more about my most shocking revelation in a later devotional) was that God actually calls us to live a holy life. What do you think when you hear that word? Holy... What do you think when I remind you that this is the standard He has set for us, this is His calling. Holiness is the standard. That's what He wants from us. That's what He sent His son so that we could have. Holiness. There was a [long] time in my early walk when I would have argued with you if you would have told me this. Incredulously, I would have reminded you that we all sin. No one of us is perfect, none of us holy... After all, isn't that just what we talked about yesterday? How we all sin? How we all need Jesus? We studied the Word that says "If we claim to be without sin, we deceive ourselves and the truth is not in us" [1 John 1:8]. It's hard to escape those words, isn't it? The God I serve is one that doesn't mess around. If He says it, He means it. It's not a suggestion, it's a calling. It isn't a choice, it's a command. Don't you see, that's the reason that we need Jesus so much... because on our own we can't do it. I was powerless, powerless, to walk out of sin on my own. I could not walk away from fourteen years of addiction without His help. I couldn't change the patterns of my speech without His help. I couldn't rely on the truth without His help. For goodness sakes I couldn't even see most of my sin without His help. In the same way, we can't walk toward holiness without His help. Without Him standing at the right hand of the Father, advocating on our behalf. Pleading our case to the Father, shining His holy light on our repentant heart... He atones for our sins. Washes us white as snow. He puts His garment on us... His holiness. Not only that, He sends His Holy Spirit to live inside us. To be a voice guiding, direction, convicting, challenging, changing. We can't do holiness on our own... but the Holy Spirit can do nothing less than holy. What is our response to this? What is our response to a third of the God-head residing in us? What is our response to the love Jesus demonstrated on that tree? What is our response to His unending devotion to you? How can our response be any less? He looked at me in that filth and said "I want HER... for HER I will stand, silent, before these accusers... for her, for BECKY, I will carry this cross... for HER I will be spit on... for her I will watch the Father's face turn from mine... for HER I WILL DEFEAT THE DARKNESS... all for HER... I want HER..."
So how in the world can I do anything less than devote my life, my love, my heart, my passion entirely to Him and to His work? How can I possibly settle into compromise and then look Jesus in His beautiful face and say "you were only worth my 50%... or my 20%... or my 10%..." How? How can we? How can we give Him any less than our everything because, friends, He gave His ALL. Just for YOU. And if I truly give Him my all... If I would truly, really, turn to Him every day, with every breath and rely on Him to guide my steps and my words... would He ever lead me into sin? I write this to you, my friends, so that you will not sin. Show Jesus how much you love Him by actually doing what He says. Don't say with your mouth that you know God, and then doing everything you can to deny Him with your life. If you know Him, if you love Him... you will do what He has asked of you. You will love Him with your words. You will love Him with your actions. You will love Him with your money. You will love Him with your time. How can we do anything less? The Becky Boyles Paraphrase version of this scripture is: "If we claim we don't need Christ, we are just fooling ourselves. But if we wake up to our sin, and realize we can't get ourselves out of this mess on our own, He is faithful to send the lifeline- to cleanse us and purify! But if we think we can do this on our own, then His Word hasn't really broken into our heart with truth and we call Jesus a liar." There are very few things that I know for sure in my life... but this is one of them. I need Jesus. Realizing what I had become, I realized I needed to clean house. I needed to purify my life. I needed to set things right so that I could have a relationship with God. And I honestly did try really, really hard. I wanted to do the right thing, but the harder I tried to be good, the more defeated I became. I just couldn't do it. Oh, I wanted to so bad. Remembering that time in my life brings tears to my eyes. The desperation in my heart. The hopelessness. The failure. Why can't I just quit? Why can't I just put the pot down and walk away? Why can't I stop drinking? Why in the world did I tell that lie... again? I don't even WANT this stuff anymore? Why do I keep going back? Never have words jumped off a page at me like those. Never. 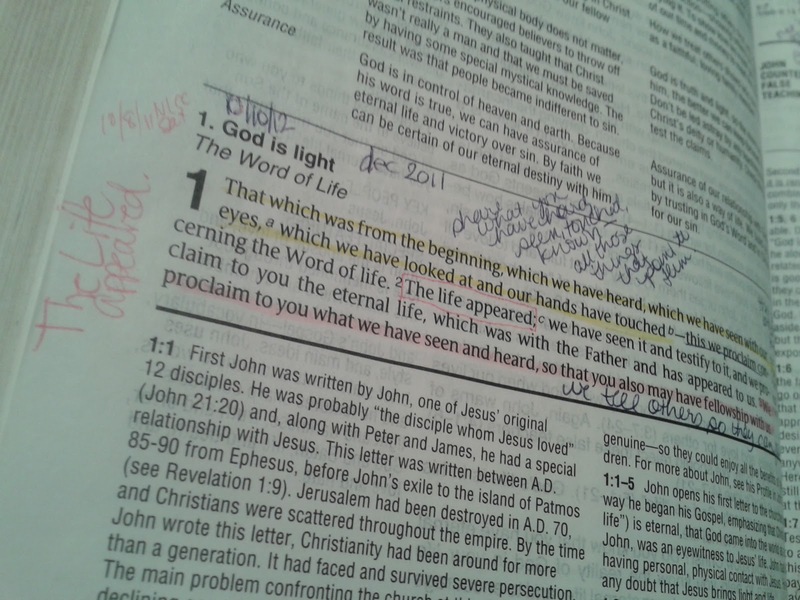 I flipped to the front of the book, I wanted to know who wrote these words... the Apostle Paul. The Apostle Paul!!!! Someone like Paul understood!? He knew!? He struggled!? Yes! I want to do the right thing... but I cannot carry it out... and now Paul is telling me that it's not really me, it's not Who I Am that keeps falling... it's the sinful nature in me. It's all those open doors to sin that I don't know how to close... Oh of course, realizing what I had become I knew I needed to clean house. I needed to purify my life. I needed to set things right so that I could have a relationship with God. And I honestly did try really, really hard. I wanted to do the right thing, but the harder I tried to be good, the more defeated I became. I just couldn't do it. The problem was I... because I alone cannot purify, forgive, cleanse. Who can rescue? Who can clean house? Who can purify? Who can set things right? Who makes a way for relationship with God? Only Jesus. And so, I turned it over to Him. I admitted the sin in my life to a spiritual leader, and slowly those things began to fall away. Things were set right. Temptations were removed. Strength came to endure the temptation that remained. I didn't wake up in perfection... but I did wake up in a state of sanctification... of being renewed by the Renewer. And when I failed, instead of being hopeless and defeated, I acknowledged that I fallen back into the old pattern of relying on me. My friend, whatever you are struggling with in your life... you can't overcome it.. Not on your own. You need Jesus. When you find yourself in that moment of weakness... cry out to Him... He is FAITHFUL to answer. His Word doesn't say He will cleanse you from some unrighteousness, but all of it. He doesn't offer to clean you up a little, but to purify you. If there is still sin in your life... stop looking the other way. Stop justifying it. Stop rationalizing and excusing it. And for goodness sake, stop trying to fix it on your own! Confess your sin, to God and to a spiritual leader (doesn't have to be your pastor, just a brother or sister you can trust, someone who can mentor you and hold you accountable). Face it head on with Jesus and watch the darkness flee. Sin wants us to hide, to keep secret, to deny... but the Light tells us that confession brings FREEDOM. For there is now... right now in this very moment... no condemnation! 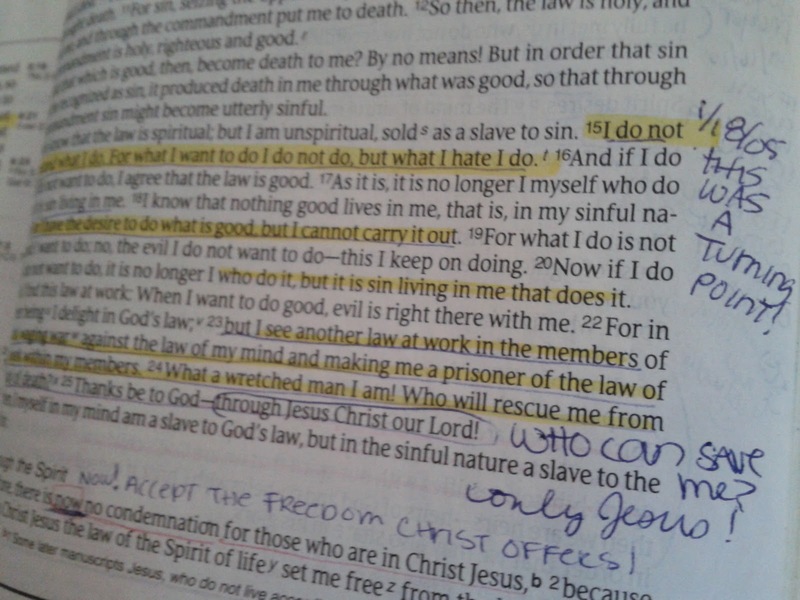 Set free from the law of sin and death!! Set FREE!! I can't do that on my own, friends. Purification... sanctification... is a process. It's not a one time event reading my Bible in 2005. It's been a constant leaning into Him ever since then. I didn't need Jesus just on that cold January day... I need Him every moment, every day. Leaning on Him, trusting His Spirit to guide... that is freedom. I needed Jesus yesterday when I was frustrated with my husband. 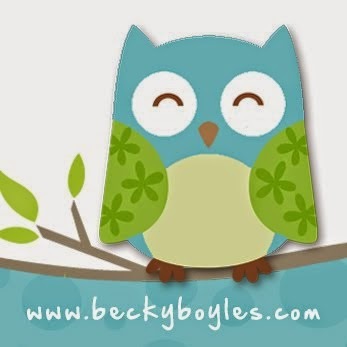 I needed Him this morning when I wanted to sleep in rather than write this blog. I needed Him a few minutes ago when I wanted to gloss over the sin in my life rather than be transparent. Are you letting Him shine His Light into the darkness of your heart? Into the corner you have hidden from everyone else? Are you letting Him purify your motives? Transform your mind? Guide your steps? We can't do this thing on our own. We just can't. And trying to... will just lead to frustration and disappointment and heartache. Just before He went to the cross, Jesus took time to get alone in the Garden. There, on dusty ground he lay- pouring Himself out to the Father. Have there ever been such an intense time of prayer in all of history? The Son communing with The Father at the cusp of redirecting history. On the verge of making a way for us. As Jesus prepared Himself spiritually for the sacrifice to be made, as He readied His mind and His heart to become sin... He prayed for us. For me, and for you. JESUS. Our Savior, our perfect sacrifice, the One who hears our every prayer... prayed for us. Jesus could have prayed for anything here. He could have asked that we be prosperous, that we be world changers, that we win over many... but here, pouring Himself out in prayer from the deepest recesses of His Person... 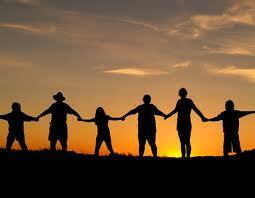 He prays that you and I should walk in unity, in fellowship with one another. Oh Father, let them be brought to complete unity- because THEN the world will know that you sent me, THEN the world will trust the report of their testimony, THEN the world will be changed, THEN our Truth will be made known, and your Name will be glorified. Our communion with one another was so important to Jesus. He knew that this would be the thing that would set us apart from the rest of the world. He also knew that without unity, without oneness of spirit, without a single-minded focus on the work of the Kingdom... we are less. Our power is less, our prayers are less, our impact is less. But have you checked your walk with your brothers and sisters? Have you checked your fellowship with the church down the street? Have you checked your heart toward the sister that has fallen, or the brother that is more successful, or the believer that sinned against you? Because if we are walking in the Light, we should be walking in unity. In fellowship. In oneness of heart and mind and spirit. Single-minded in our focus... Kingdom Minded. Can we rejoice when another church in town enters a season of abundance? When the unchurched come through their doors and money seems to come easily? Can we celebrate without jealously? Can we enter into mission with other Bodies without concern for whose name is at the top of the list of credits... or even better, not worrying if our name appears at all? Can we forgive the brother or sister that has hurt us... simply because Jesus tells us that's what we need to do? Can we walk in unity with the one that offended? Or the one who seems to be more successful, in their lives or in their ministries? What about the sister who has fallen? Can we join her in her pain, encouraging her spirit and lifting her head toward Jesus? Or do we shake our heads knowingly across a room at a prayer meeting? Do we speak in hushed whispers about that sin we are all just a compromise away from stepping into? Unity was everything to Jesus. Everything. At this moment, when He was facing literal darkness... separation from the Father who is Light, becoming our sin offering... He asks Father that He would equip us to walk in unity... and not just for our own good, but so that the world would know. In yesterday's passage, John reminds his readers that The Life appeared... in flesh and blood, right before their very eyes. We looked at Him! Heard His teachings with our own ears! TOUCHED Him! Eternal life... we knew Him personally, and walked with Him even after His resurrection... He reminds us that the disciples carried with them an eyewitness account so powerful, they were willing to die for it. The Life Appeared and that changed everything. And now, he goes on... he says this is the message Jesus would want you to know... God is light. Absolute, perfect light- not even a shadow. And if you walk with Him... you will have light too. Light. Not one single drop of darkness. Not one shadow of sin. Not one questionable motive. Nothing but light... purity... love... peace. No darkness. At all. None. And this Light is an indwelling Light. It's a light that says "let me in to the darkness of your heart... allow me free reign to shine my Light on that sin. that secret. that hidden motive. that pride. Won't you allow my Light to cast out ALL darkness?" Oh, how we say yes. How I enthusiastically nod my head when a preacher says "will you lay it ALL down for His glory?" Oh how I will cry out to the Lord... "If it's not of you, take it! No darkness left at all! No shadow! No will but Yours! No plan but Yours!" Yet there are still moments when we allow the darkness to creep is, aren't there? There are still times when we let our unbridled tongues slander, belittle, cause strife. When "concern" leads to a prayer request that is a lot more like gossip. When we open the door to sin ever so slightly. But darkness just needs a little crack... and then it has this way of chipping away at the edges until the crack is larger and larger and larger... and it's pouring in as one by one by one you shut out the Light in your life. A little more TV a little less Bible. A little more fiction and a little less prayer. A little more gossip and a little less edification. A little more pride and a little less praise. Light is powerful, yes. But darkness is cunning. One moment it's just a little darkness... and then a little more... and then a little more... until you are sitting in a room with all the lights out and you don't even notice because your eyes have adjusted to the darkness. It's...somehow comfortable. Had all the lights gone out at once, you would have noticed. But one at a time it's so much easier to adjust. One little sin. One little compromise. One little day not in the Word. One church service missed. And then another, and another... and it becomes easier. Darkness becomes more comfortable. But there is good news, my friend. Because whether there is a little darkness or total blackness in your heart, you invite the Light and it always wins. A completely blackened room is transformed by one little candle... and the more you fan that flame, the bigger it gets, and the more darkness flees. One confession and the door to darkness is shut... Repentance and Light can rule and reign. God is light, in Him there is no darkness at all. If we claim to have fellowship with him yet walk in the darkness, we lie. Life with Him leaves no room for darkness. His perfect light, His perfect love, His perfect peace, His perfect presence seeks to destroy all of the darkness in your life. Will you allow Him to search your heart today? To search out anything that can be an opening to darkness? To examine your motives for purity? To examine your heart for idols? To examine your mind for distractions? Will you choose today to walk in the Light? Father, cleanse us from all unrighteousness! Search our hearts, our minds for anything that is not of you. 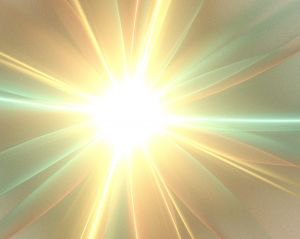 Shine the bright Light of your glory on these things and bring wisdom to our innermost being... Show us how we can live lives more fully devoted to you- laying down our pride and agendas- and trusting in you alone. How many times have I skimmed those words? How many times have I instead focused on this eyewitness account, or the desire for fellowship based on common belief in Christ, or the importance of sharing our story. Missing those three words… The life appeared. When did I lose my wonder that the LIFE, Eternal Life, appeared. The One who had been with God since thebeginning, through whom all things werecreated, who was not only with God but was God… appeared here… in this fallen, broken, imperfect world. That He left the company of the Father… to meet me. When did I start focusing so tightly on the work (witnessing, discipling, sharing, writing) that I could skim over those three LIFE-CHANGING words? I want to change the world. Those closest to me, they want to be world changers too… but sometimes we can get so caught up in the doing that we lose our wonder. The Truth of Jesus Christ becomes almost mundane in our hearts. Taken for granted. Normal. But The Life appearing… there is nothing mundane about that! It should arrest our hearts every single time that the Son of God would leave the unending worship of heaven to be spat on and rejected in this world… out of love for you [for me]. Jesus, who enjoyed constant fellowship with the Father, left His throne… for us. To chase us. To pursue our hearts. To make a way. To justify and reconcile and set things right. Today, let’s focus our hearts on the simple Truth that the LIFE appeared. The Way. The Truth. The Life joined us here, so that we can also join Him there. The same Jesus who entered this broken, fallen, failing world also entered my broken, fallen, failing heart… and He changed me. Don’t lose your wonder, friend! Don’t lose your awe and amazement that Jesus came for you. Rest in THAT today, because no matter what you are facing… The Life appeared and brought with Him peace, hope, joy… eternity. All for you. Father, remind us of the miracle of Jesus today! Renew the awe and passion of our first love… when we first realized that Jesus really DID enter this world… so that He could have our hearts! Let us never, ever, ever lose our wonder at who you are… and that every single thing that you are, you are for US! We LOVE YOU Jesus!! !